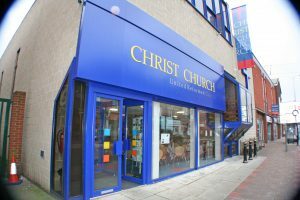 The main number for the church is 01732 770334. Our Postal Address is High Street, Tonbridge, Kent TN9 1SG. Unfortunately when we last checked, Google maps shows that post code at the wrong end of Tonbridge and we recommend you use the link on our How To Find Us page. Deliveries to the rear of the building or those wanting to find the public car park should input TN9 1SF in a GPS. To make a general enquiry please use the contact form below and we will do all we can to pass the information to the right person as soon as possible. If you need to contact our minister please follow this link and use the contact form on that page. For room or hall bookings, please follow this link. Alternatively choose the Room Booking option on the Contact Us Menu at the top of the page or on the right.